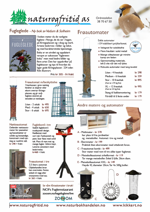 Boka er en stedsguide til verdens større byer med de muligheter for fuglekikking som finnes i nærheten av de store bysentra. All birders enjoy the excitement of birding abroad. However, many overseas trips are for business or for family holidays, and birding opportunities may be frustratingly brief. This book is aimed at all birders who would like to make the most of their trips abroad, even when birding time is limited. Following the familiar Where to Watch Birds style, it covers top birding sites which are within easy travelling distance of 60 of the world's largest city centres. It includes detailed travel and access information as well as overviews of the sites' habitats, species likely to be seen, and advice on the best times to visit. Armed with this guide, a travelling birder will easily be able to plan an enjoyable few hours of birding, perhaps between meetings or connecting flights, even in an unfamiliar country.